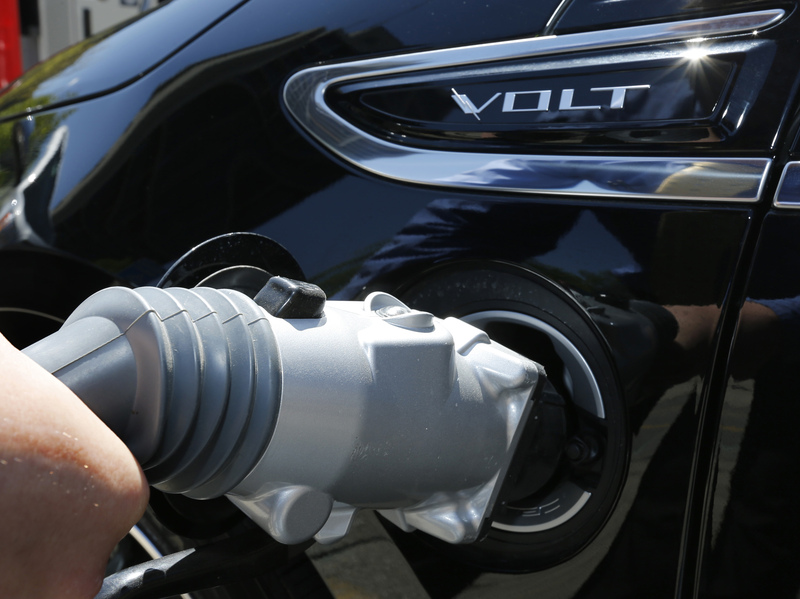 Congress could extend tax subsidies for electric vehicles, costing taxpayers billions. That could mean taxpayer dollars going towards add-ons and perks for Teslas and BMWs. Conservatives groups want Congress to end electric car subsidies, not extend them. Congress is currently debating extending federal tax subsidies for high-end electric cars, which could mean more taxpayer dollars effectively going towards buying add-ons and perks for luxury vehicles, according to an analysis by The Daily Caller News Foundation. Buyers of these cars can get a $7,500 tax credit that’s often worth more than extra perks and add-ons. For example, someone who buys a Jaguar I-Pace HSE, which can start at $80,000, could use their $7,500 tax credit to effectively purchase a “Carbon Fiber Exterior Pack” valued at $4,390. A Tesla Model S with a list price of $78,000 can also earn its buyer a $7,500 tax credit, which can go towards “Enhanced Autopilot” features valued at $5,000. Or a Tesla buyer could use their tax credit to purchase 21-inch “Sonic Carbon Twin Turbine Wheels” valued at $4,500. Federal tax subsidies are set to phase out for several major electric car automakers in the next year, including General Motors and Tesla. Tax credits range from $2,500 to $7,500, depending on the car, but phase out for buyers once companies produce 200,000 electric vehicles. 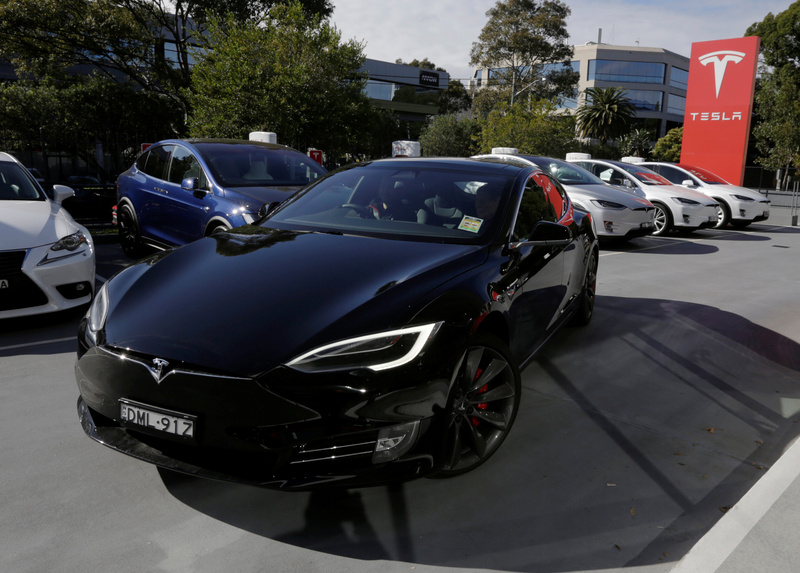 A Tesla Model S electric car is taken for a test drive at a Tesla car dealership in Sydney, Australia, May 31, 2017. REUTERS/Jason Reed. Electric car buyers claim the credit in their tax returns, meaning tax subsidies would effectively go towards paying for add-ons to electric vehicles worth up to $7,500. AEA was one of 30 conservative groups in September to sign a letter to Congress opposing extending electric car subsidies. Some Republican lawmakers have joined conservative activists in calling for electric car subsidies to end. The Trump administration has also taken aim at electric car subsidies in the wake of GM’s announcements it would lay off thousands of workers. Wyoming Republican Sen. John Barrasso introduced a bill to end the tax credits and slap a fee on electric vehicles, which would go towards the Highway Trust Fund. Electric vehicles currently don’t pay gas taxes that fuel federal highway spending. “All should contribute to maintain them. My bill supports the Highway Trust Fund by making sure all drivers pay into the account that improves America’s roads,” Barrasso said in a statement in October. GM and Tesla already hit the 200,000 production mark, and the two companies are part of the EV Drive Coalition, which is also made up of electric vehicle trade associations and environmental groups. Mike Collins hooks up a charging cable to charge his 2014 Chevy Volt at ABB, Inc.’s DC fast charging station in Salt Lake City, Utah, April 30, 2014. REUTERS/George Frey. The Coalition called federal electric vehicle subsidies “a significant purchase factor for car buyers” and “essential to the continued development of the EV market.” The Coalition also challenged the argument that electric car subsidies primarily benefit the wealthy. “We reject that argument. So does the data,” Trevor Francis, spokesman for the EV Drive Coalition, told TheDCNF via email. However, it’s true that high-income households benefit more from electric vehicles subsidies. A February study by the Pacific Research Institute, for instance, found 79 percent of electric car tax credits were claimed by households making more than $100,000 a year. Roughly 60,000 tax filers claimed electric vehicles subsidies on tax returns in 2016 and it was “disproportionately claimed by higher-income households,” according to the Tax Foundation. 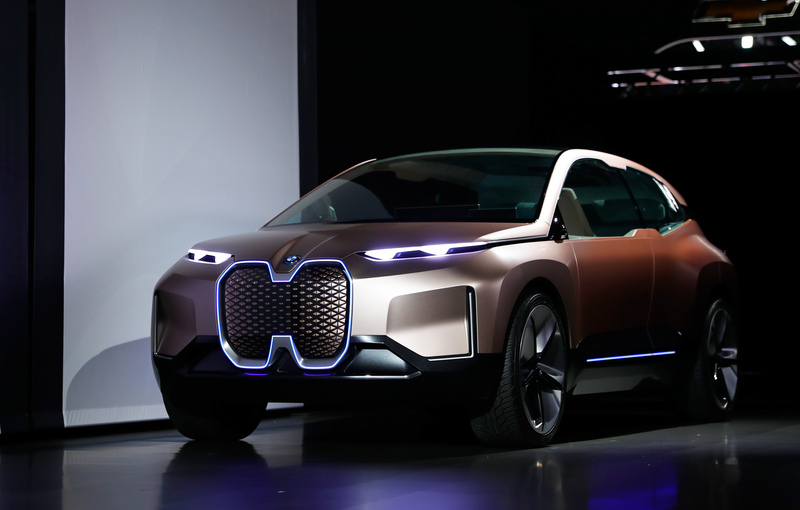 The BMW iNEXT electric autonomous concept car is introduced during a BMW press conference at the Los Angeles Auto Show in Los Angeles, California, U.S. November 28, 2018. REUTERS/Mike Blake. “Yes, it’s true that some of them are purchased by the wealthy, but that is only a part of the story,” Joe Levin, the executive director of the advocacy group Plug In America, which is also part of the EV Drive Coalition. “Also, as more are produced, the prices have been steadily coming down, so this will be even less of an issue in the future,” Levin told TheDCNF in an email. In November, Plug In America called for the 200,000-car cap on subsidies to be eliminated. The group did not specifically endorse any of the proposals in Congress but suggested there were elements of two they would “be supportive of,” The Washington Examiner reported. Legislation introduced by outgoing Nevada Senator Dean Heller, a Republican, would lift the subsidy cap and phase out tax credits in 2022. A House bill from Democratic Vermont Rep. Peter Welch would completely remove the cap for the next ten years.